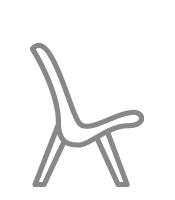 The people, the real protagonists. 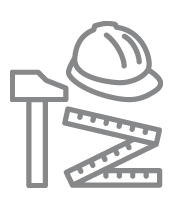 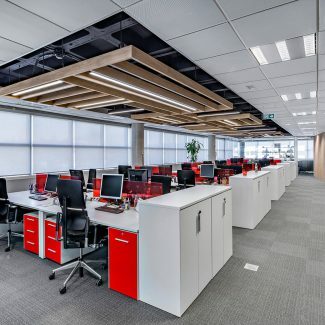 The employees had a key role in the renovation of the headquarters, sharing their own proposals. 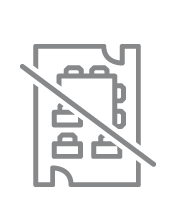 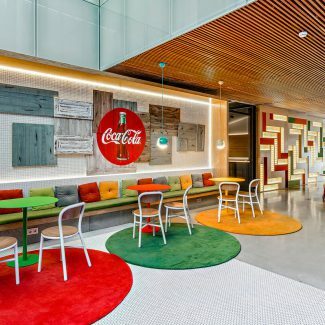 New spaces were created, such as Coke or the dining room, which has become a place of coworking in which employees can hold meetings. 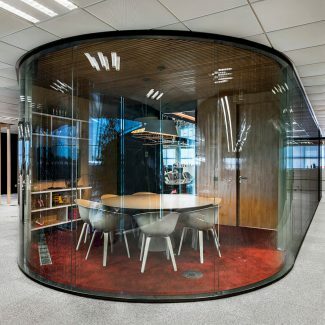 A dynamic work model without offices or architectural barriers. 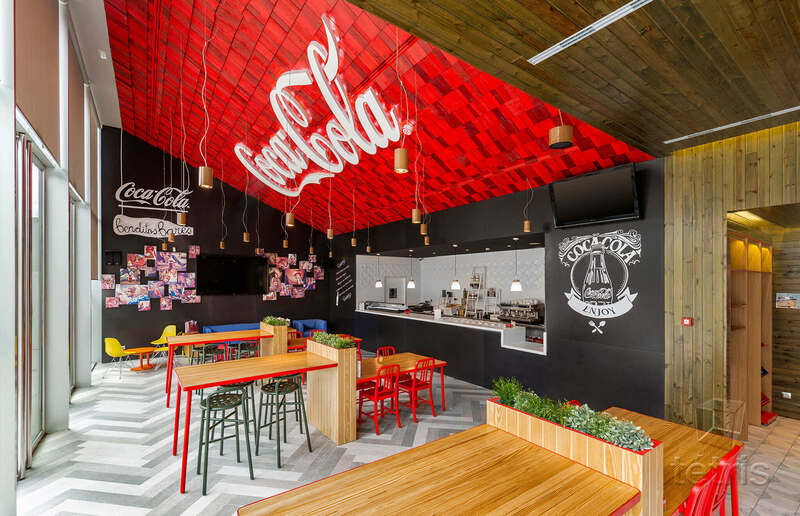 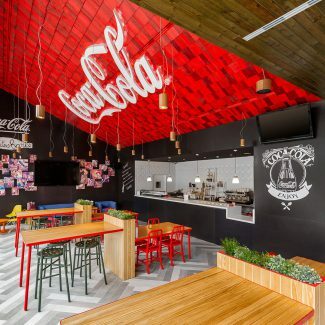 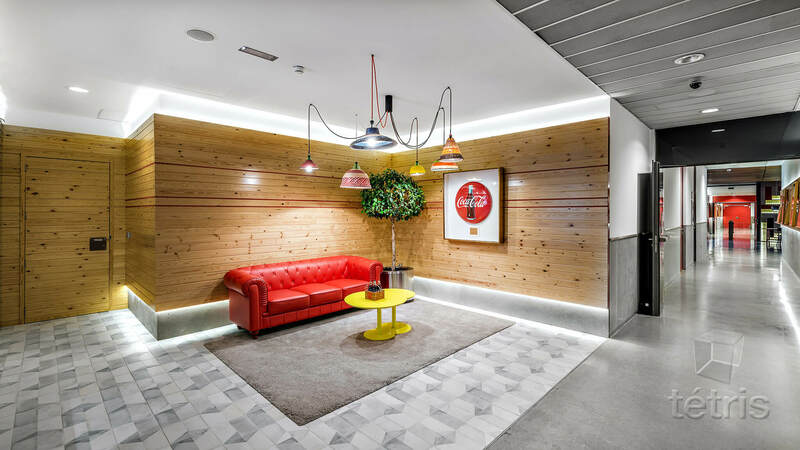 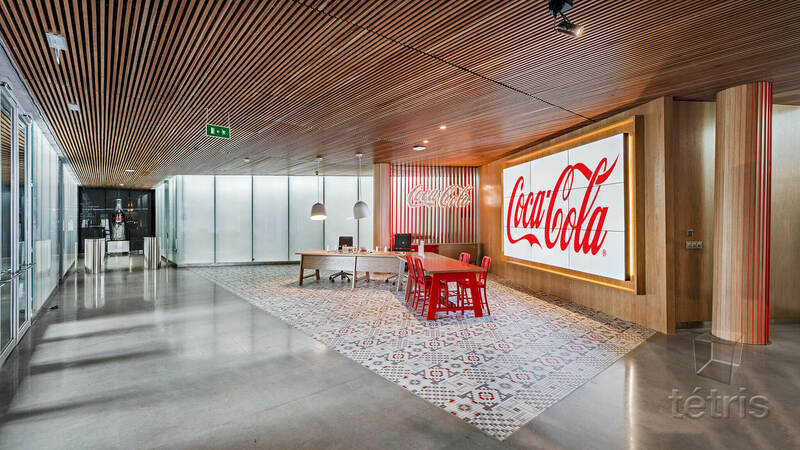 Coca-Cola Iberia looks to the future with a layout of collaborative rooms and the elimination of dispatches. 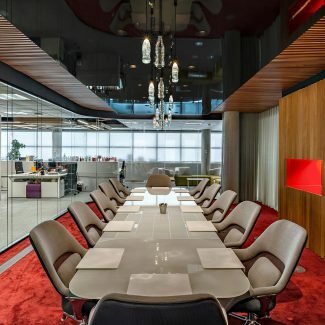 It is a horizontal communication system and to understand the work based on participatory environments that has had the direct involvement of the Steering Committee and the Company’s Director General. 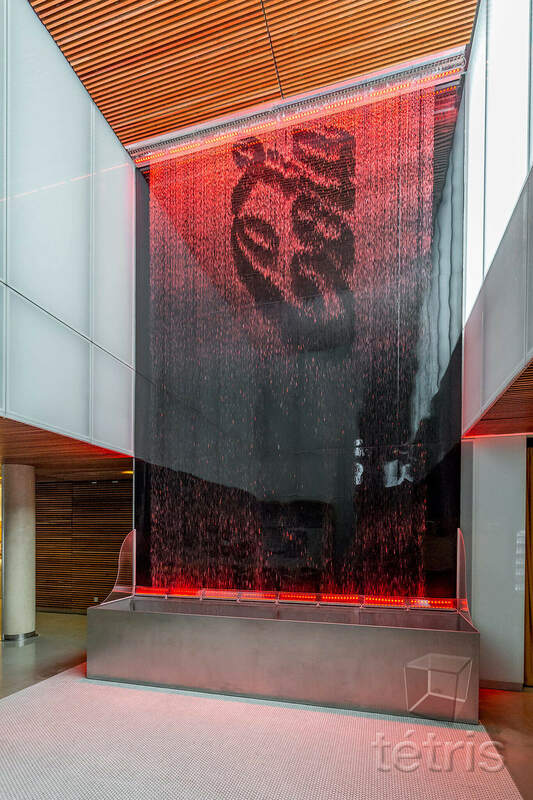 A venue that reflects the DNA of Coca-Cola. 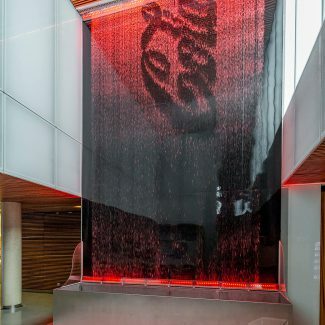 The new facilities of Coca-Cola Iberia have several spaces that include the essence of Coca-Cola, as the reception, which welcomes visitors with a large videowall of 9 screens and a large waterfall as there is at the Atlanta headquarters and projecting images, lights and geometric figures. 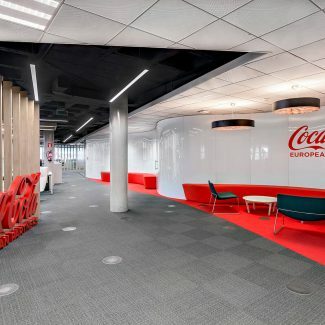 A commitment to innovation, creativity and talent. 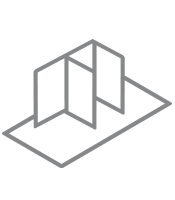 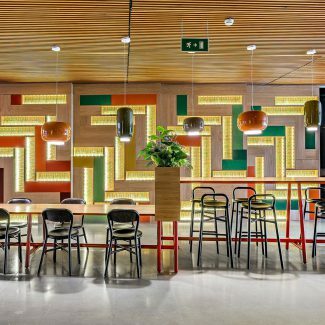 The architectural project of 12.000m2 of surface is a commitment to a work model that promotes creativity, innovation, diversity and talent management. 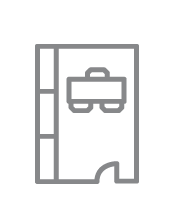 Numerous services to feel at home. 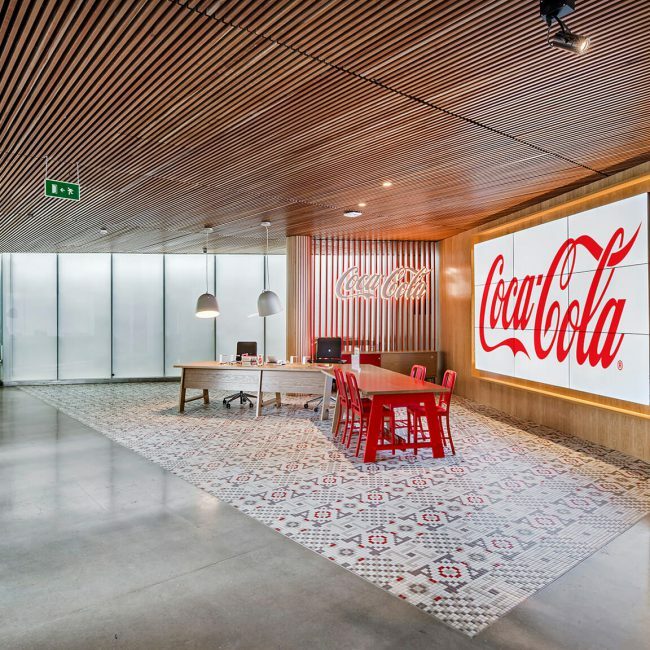 Coca-Cola Iberia offers a multitude of facilities to its employees in their offices. 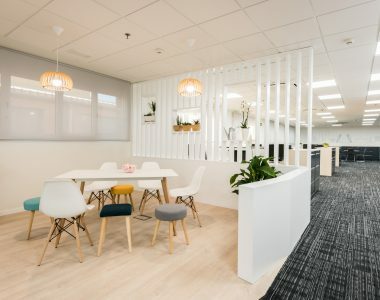 These include connectivity through smart phones and laptops and other services such as the gym, a medical service, physiotherapy and shiatsu massage, garage space and Easylife service that allow small office scraps from the office. 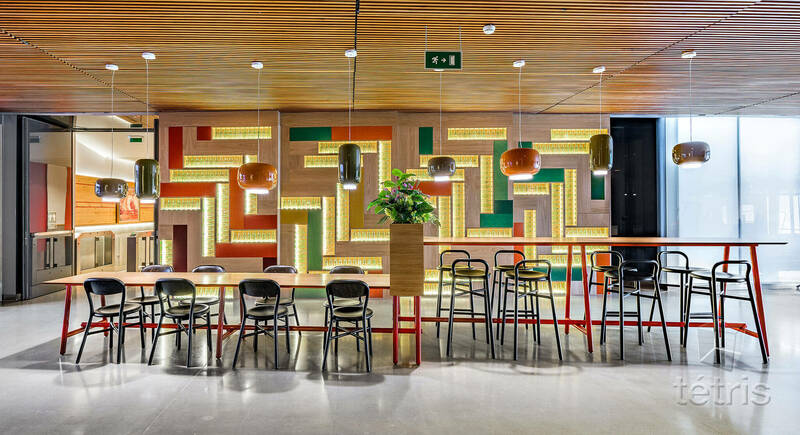 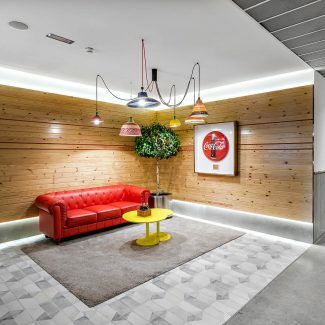 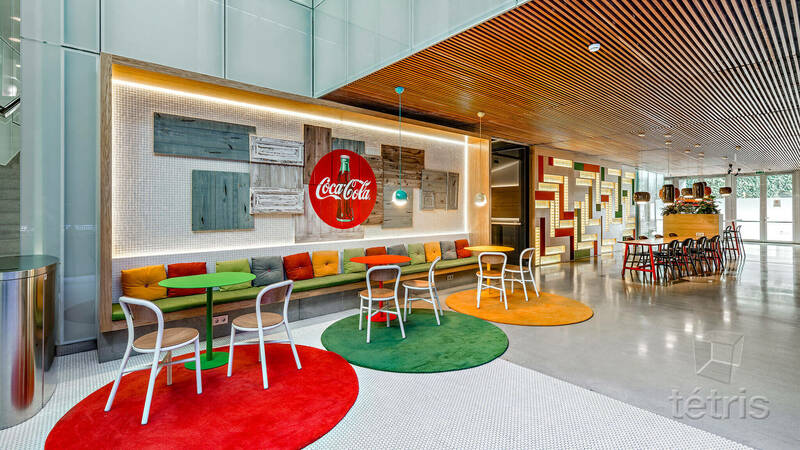 Responsible space: Coca-Cola Iberia’s headquarters renovation project is aligned with Coca-Cola’s social and environmental responsibility policy. 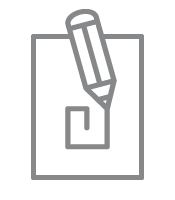 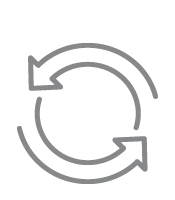 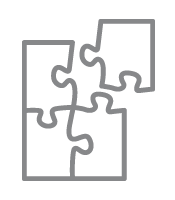 Tétris was able to capture from the beginning our corporate needs and the essence of our brand. 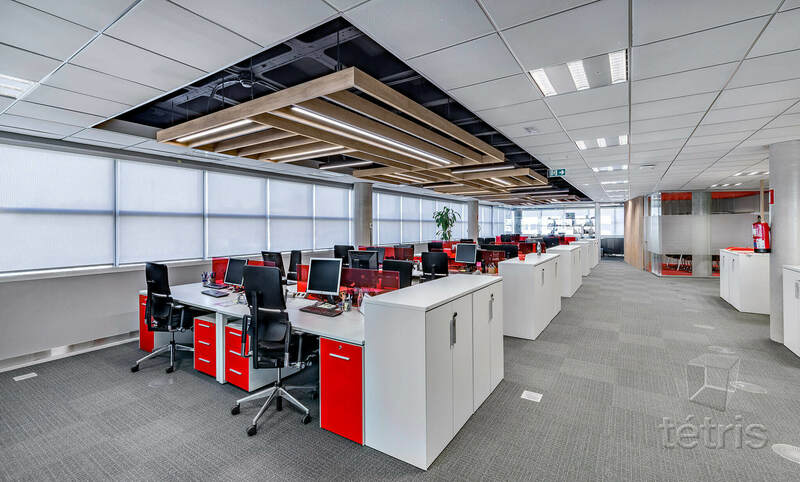 One of the keys to the success of this project has been the involvement, from the first moment, of our employees. 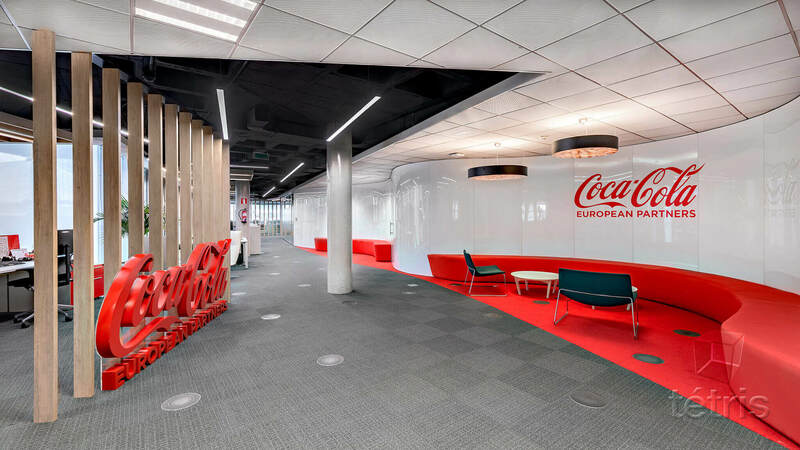 His proposals and vision as end users have been decisive for the remodelling of the new headquarters. 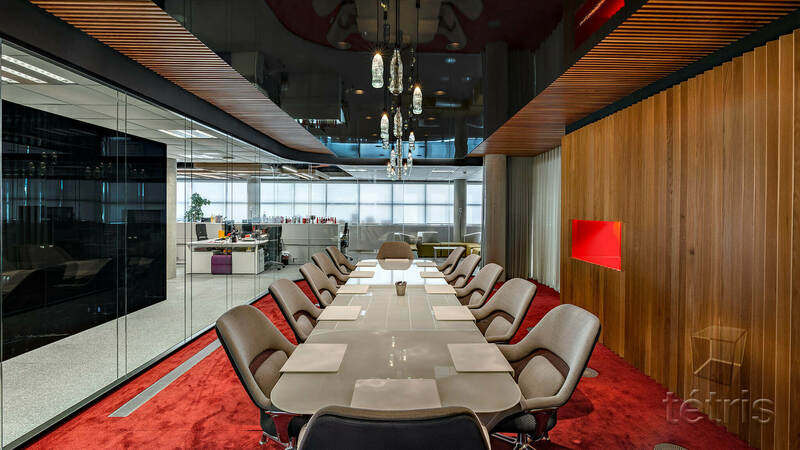 Thanks to mutual understanding, we have succeeded in creating an inspiring space in which communication and the exchange of ideas are promoted and the sense of team is strengthened. 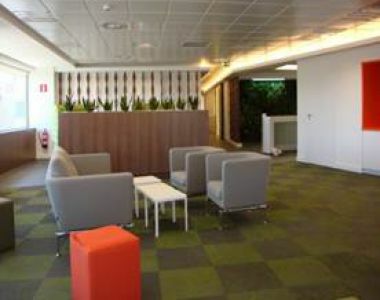 US Telecom Company signs a deal with Tétris for the refurbishment of its offices in Madrid. 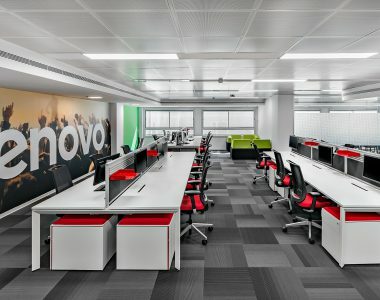 Tétris develops the new offices of PC manufacturer Lenovo. 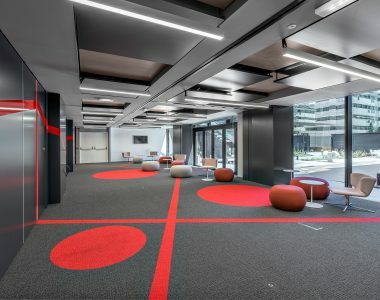 The ICEX campus, designed by Tétris. 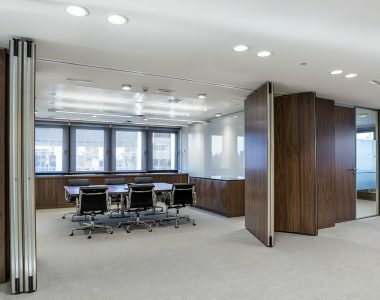 Tétris develops the project for the new offices of law firm Hogan Lovells. 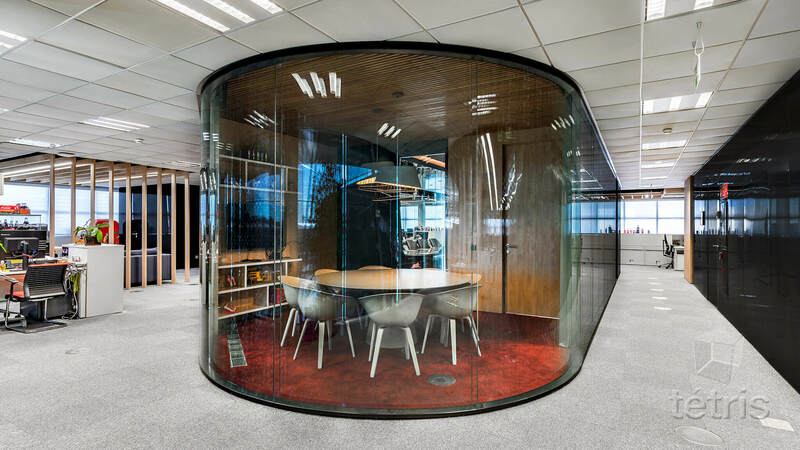 Munich Re, leading risk management firm, charges Tétris with fitting out its offices. 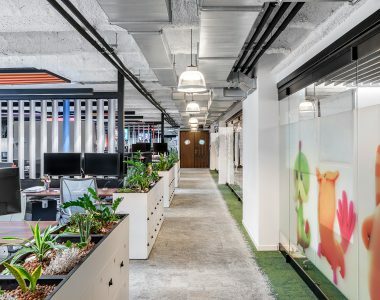 Technology company King, specialists in videogame development, asks Tétris to design and build its new offices in Barcelona. 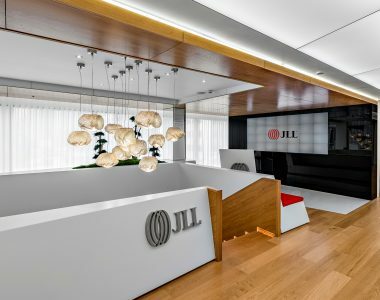 Tétris carries out the design and build of the new JLL offices situated in the Madrid CBD. 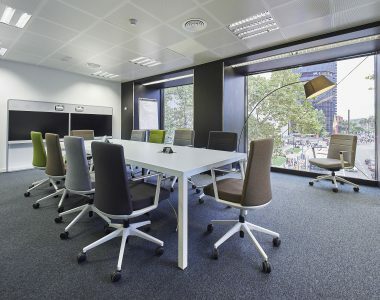 Tétris develops the project and works for pharmaceutical firm AstraZeneca in Barcelona.